CSL has announced it will continue to partner with the National Youth Science Forum (NYSF) after signing a new three-year agreement in support of programs that encourage life-long STEM literacy. A key feature of the partnership is the NYSF Year 12 Program - a 12-day residential program designed to give students a broader understanding of the diverse study and career options available in science, technology, engineering and mathematics (STEM). Under the agreement, CSL scientists participate in the summer program, sharing their career insights and learnings with aspiring young scientists. The announcement follows delivery of the 2019 residential program in January, reaching 600 students representing every state and territory of Australia. Over 12,000 young people have participated in the program since it began in 1984, including many influential Australian scientists. 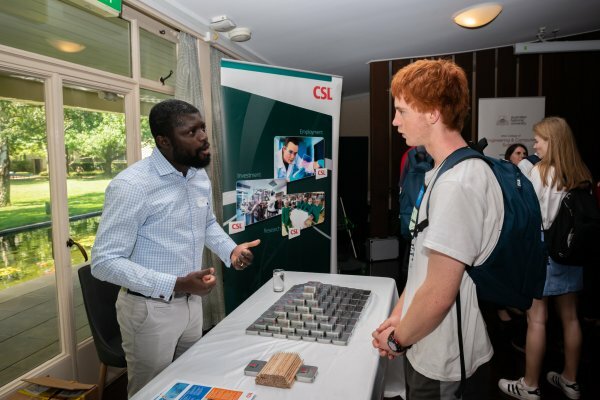 According to CSL chief scientific officer, Professor Andrew Cuthbertson, “As Australia’s largest biotechnology company, CSL is committed to fostering the next generation of biomedical researchers. Our partnership with the NYSF spans 10 years and we are very proud to continue our support for this valuable program. NYSF CEO Dr Damien Pearce said, “We welcome CSL’s continued investment which reflects their commitment to the valuable role of outreach and extension programs to encourage young Australians to continue studies in the areas of science, technology and engineering. Ayoka Wong, from Townsville, attended the NYSF 2018 program and returned in 2019 as a student staff leader.